The research is part of a much broader study on how Adirondack lakes are recovering from the impacts of acidification. "Thanks in large part to the federal Clean Air Act and increased state focus on improving air quality here in New York, we are seeing a number of these lakes on a trajectory to recovery, but up until now we have had little understanding of the changing biodiversity of microbial communities within the impacted lakes as they recover," Nierzwicki-Bauer said. "I hope this study will help other scientists expand on the research and use this data to uncover additional information on how acid-impacted lakes and their ecosystems are recovering and how we can hasten that process." The study was published in a recent edition of the journal Applied and Environmental Microbiology and was undertaken in partnership with the Skidaway Institute of Oceanography. 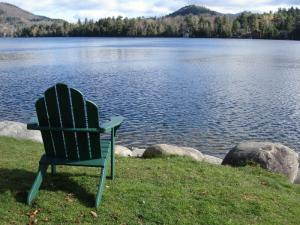 The study is part of what has been a 12-year analysis on the recovery of Adirondack lakes from the effects of acid rain funded by the U.S. Environmental Protection Agency's Adirondack Effects Assessment Program (AEAP). The study included bacterial samples from 18 lakes, ponds, and reservoirs in various stages of recovery from acidification in the Adirondack mountain region of New York state. Adapted from materials provided by Rensselaer Polytechnic Institute.